Update & NEW Blog Series! — Revolving Rooms Interior Design Inc.
As usual, we've been working hard here at Revolving Rooms. We're excited to show off some of our most recent projects & fill you all in on what's been happening! This bungalow in Leduc got a full renovation! We're especially excited about the stunning new kitchen. Check out the massive island and subway-tile backsplash! A few more finishing touches and this home will be move-in ready. We posted a few teasers of this basement development last week, and here are some of the fabulous completed! Previously used for storage, the homeowners wanted to develop the space and create a workout room, sewing/craft workstation, wet bar, a full bathroom, and two bedrooms. They also still needed ample storage (a family of 6 has a lot of stuff!). We were happy to meet all their requirements and absolutely love the finished product. Next week marks the start of our new blog series, "Revolving on the Road". We'll be Euro-tripping, and of course bringing you along for the ride (virtually, that is)! Make sure to check in every Friday to see where we are & what design is speaking to us there! 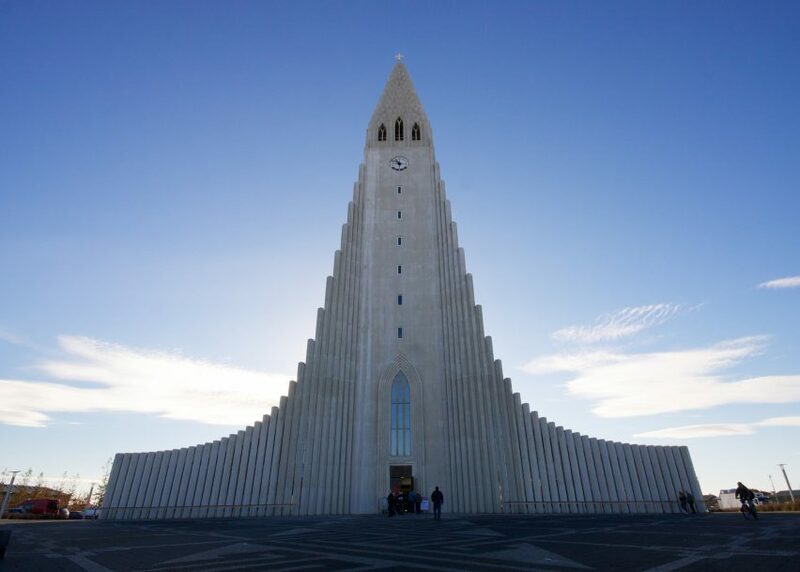 We'll be examining local architecture and design while exploring some wonderful places, including Iceland, Norway, Sweden, Denmark, the Netherlands, and England. Our first stop will be in the beautiful country of Iceland! Side Note: their weather isn't any colder than here in Edmonton...alarming.